And money is one of the motives for becoming a writer. The others are leisure and money, women and money, and sometimes just money all alone by itself. As to the idea that advertising motivates people, remember the Edsel. Everybody who talks to a newspaper has a motive. That's just a given. And good reporters always, repeat always, probe to find out what that motive is. Give a good deed the credit of a good motive; and give an evil deed the benefit of the doubt. Good and evil, reward and punishment, are the only motives to a rational creature: these are the spur and reins whereby all mankind are set on work, and guide. I think that money spoils most things, once it becomes the primary motivating force. 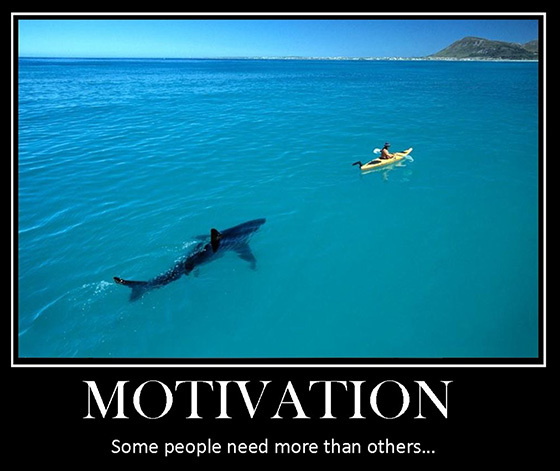 If a pretty picture and a cute saying are all it takes to motivate you, you probably have a very easy job. The kind robots will be doing soon. In general, we do well to let an opponent's motives alone. We are seldom just to them. Our own motives on such occasions are often worse than those we assail. Leadership is more likely to be assumed by the aggressive than by the able, and those who scramble to the top are more often motivated by their own inner torments. Many a man, who has gone but a few miles from home, understands human nature better, detects motives and weighs character more sagaciously, than another who has travelled over the known world, and made a name by his reports of different countries. Of course motivation is not permanent. But then, neither is bathing; but it is something you should do on a regular basis. Scientists are just as vulnerable to wishful thinking, just as likely to be tempted by base motives, just as venal and gullible and forgetful as the rest of humankind. Talent works for money and fame; the motive which moves genius to productivity is, on the other hand, less easy to determine. The sole motivating factor behind the death penalty is vengeance, not justice, and I firmly believe that a government that forbids killing among its citizens should not be in the business of killing people itself. The thing is plain. All that men really understand is confined to a very small compass; to their daily affairs and experience; to what they have an opportunity to know and motives to study or practise. The rest is affectation and imposture. There are no ulterior motives with a dog, no mind games, no second-guessing, no complicated negotiations or bargains, and no guilt trips or grudges if a request is denied. Vanity is truly the motive-power that moves humanity, and it is flattery that greases the wheels. We have a besetting sin today in our politics where people think that you show your depth of commitment to a cause by rigidity, not just by rigidity, but impugning the motives of those on your side who try to get something done. What is a god? A god is a personification of a motivating power of a value system that functions in human life and in the universe. What's W. doing now? He's a motivational speaker. It's kind of cool. It's kind of like having Lindsay Lohan as a guidance counselor. Whenever a man does a thoroughly stupid thing it is always from the noblest motive. Women don't require motives that are comprehensible to my intellectual processes. You can question somebody's views and their judgment without questioning their motives or patriotism.